Patricia Lawrence Kolaras is President and Founder of The PLK Law Group, P.C., where she specializes in intellectual property law including trademark, copyright, unfair competition, trade secrets, trademark dilution and domain name disputes. In addition, she focuses on all aspects of transactional law in the area of entertainment and sports law, small business and corporate law, as well as contract law including drafting, negotiating and enforcing contracts. Under Kolaras’ direction, The PLK Law Group is recognized for transacting business-related deals including partnership, operating and joint venture agreements, artist recording contracts, production deals, TV, movie and radio station deals, QVC and other shopping network deals, publishing agreements, and merchandising and marketing agreements for professional athletes. Additionally, Kolaras has been successful in representing copyright and trademark matters in both federal and state court, including favorable settlement outcomes against the New York Knicks and Madison Square Garden for use of the registered trademark ALLBALL and the Healthcare Businesswomen’s Association’s use of the registered word mark BE THE BRAND. More recently, Kolaras served as lead counsel in a landmark federal case involving trademark infringement of “Own Your Power,” a brand that The PLK Law Group helped secure intellectual property protection. While pursuing her Juris Doctor from Seton Hall University School of Law, Kolaras interned in the legal department at “The RCA Records Label,” a Unit of BMG Entertainment in New York. She soon thereafter joined BMG Entertainment Corporate, Business & Legal Affairs in the Copyright Department. During the 10 years of working at a major record company, she honed her transactional skills in both contracts and intellectual property matters as related to the exploitation of recording and other creative performances. Currently, Kolaras is an adjunct professor at Seton Hall University School of Law where she teaches the course “Entertainment Law” and "Law in the Music Industry." In 2005, Kolaras left the corporate entertainment industry to start her own full-service law practice, The PLK Law Group. The firm’s focus is to protect, educate and ultimately grow its clients’ businesses. Over the years, The PLK Law Group has become recognized as a unique law firm that offers a balance between traditional legal services and a wide variety of creative services such as brand packaging and development. Kolaras is the recipient of several awards and is known as a popular legal expert. In that capacity, Kolaras has published an article for Commerce Magazine addressing the impact of digital downloading in the music industry, served on numerous legal panels, and authored various articles on the importance of bringing value to clients’ businesses by strengthening their brand value. Kolaras also delivered keynotes for various executive women-based organizations such as Women’s Executive Network (WEXNET) and the New Jersey Association of Women Business Owners (NJAWBO), and is also a member of New York Women in Film and Television (NYWIFT). 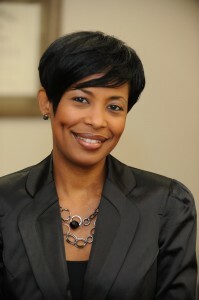 In addition, Kolaras has appeared on several television and radio programs including MSNBC’s “Your Business,” BET’s “Top 5ive,” NBC’s “The Today Show,” Miami’s “Own Your Power” radio show, and the nationally syndicated radio program, “The Wendy Williams Experience,” all of which featured Kolaras’ involvement in protecting the future of her clients’ businesses.